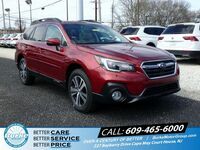 An icon for generations, and still one of the best cars on the road today, the Subaru Outback has returned for the 2019 model year, and countless customers can’t wait to claim their own. 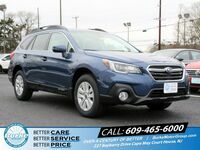 Always an excellent choice for practically any adventure, the Subaru Outback comes very well-equipped with a state-of-the-art interior, a suite of safety systems, and top-tier capability. 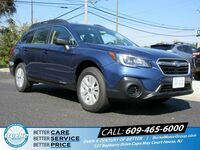 Simply put, if you need a car that can keep up with your active lifestyle, then the Subaru Outback is a perfect match for you. 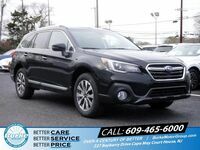 For those who want a 2019 Subaru Outback in Cape May Court House, Vineland, Egg Harbor, or any other surrounding areas, Burke Motor Group is your one-stop destination. 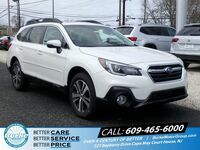 Whether you want to learn more about our payment plans, go for a test drive, or just take an in-depth look at the 2019 Outback, our Subaru crew would be happy to help you out. Before we get too excited, let’s tell you more about the new Outback. More specifically, what are some of the new features in the 2019 Subaru Outback? As much as we love a good adventure, there is no substitute for proper safety. Don’t get us wrong, you can still have an adrenaline-filled experience while staying safe and sound! 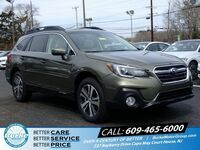 As a matter of fact, that’s exactly what you’ll feel when behind the wheel of a 2019 Subaru Outback – safe, sound, and simply unstoppable. Now standard in every model of the Subaru Outback, one will find EyeSight® Driver Assist Technology. This innovative system surveys the road in front of you and enables other driver assistance features as needed, such as Lane Departure Warning, Automatic Headlights, Adaptive Cruise Control, and more. Also new in the 2019 production year, the base 2.5i trim receives additional USB ports, which make it easier than ever to stay connected while on the road. To learn more or take the first steps toward owning a new Outback, click the ‘Get More Subaru Outback Info’ button below!